The political buzz is fully centered on the 2020 presidential field right now, but it’s going to be just as important to focus on winning back the US Senate next year. The Senate has been the sticking point for so much progress in the last decade. It’s the reason we don’t have a public option in the Affordable Care Act; it’s why we have two new right-wing judges on the Supreme Court; and it’s why Congress refused to override President Trump and open the government for 35 excruciating days. The Democrats need to flip four Republican-held seats to take back the Senate in 2020, and we think the four women on our Recruit Them to Run Senate slate can do it—but we need to convince them to run. 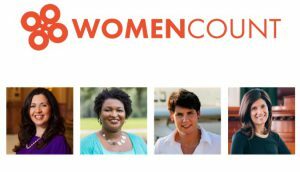 Pledge $20 now to these potential recruits: 2018 runners-up Stacey Abrams (GA) and Amy McGrath (KY), and two state legislators who are already exploring runs, Crisanta Duran (CO) and Sara Gideon (ME). If they run your donation will roll over into their campaign, and if they don’t we’ll put it toward supporting other women candidates during the 2020 cycle. If not for voter suppression, Stacey Abrams would likely be Georgia’s governor right now. In 2020, the coattails of a national presidential race could put her over the top in a contest with first-term GOP Sen. David Perdue. Amy McGrath lost an incredibly close House race too—and in 2020 we would love to watch her take on the person most responsible for our current Senate mess, Kentucky Sen. Mitch McConnell. Crisanta Duran, the former Speaker of the Colorado state House, and Sara Gideon, the current Speaker of the Maine State House, are already reportedly making plans to challenge Sen. Cory Gardner and Sen. Susan Collins. Encourage all four of these women to run by chipping in $20 to our Recruit Them to Run Senate slate.